Three local Thai men dead! 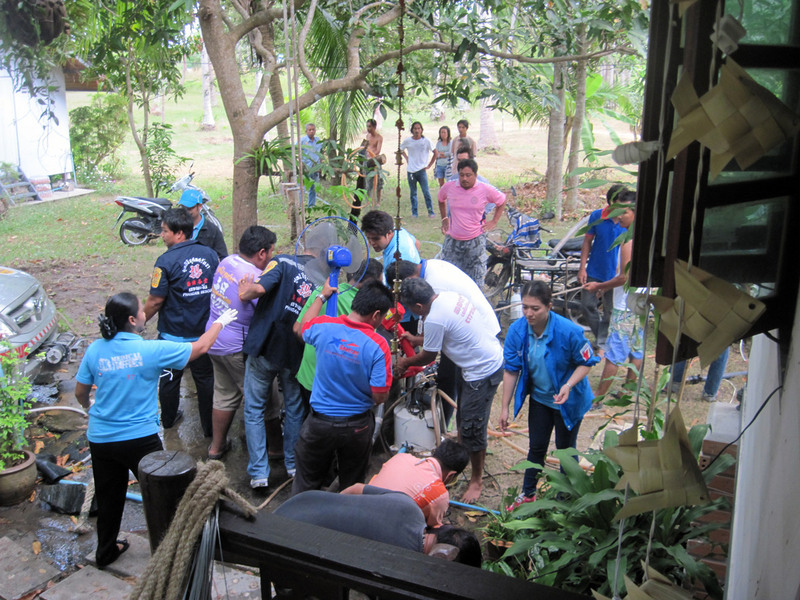 Thursday, April 11, 2013, just before Songkran Festival, a local Thai man from Wok Tum, west coast of Koh Phangan Island, went to clean up a well, with depth of approximately 5-7 meter. The local Thai man climbs down the well without any safety, like a ladder, a rope around his body or an oxygen mask …nothing! He wants to put the dirt in a bucket and his daughter in law pulled up bucket with dirt. He feel he can not breathe and he tells his daughter in law to pull him up, he climb on the wall, grab her hand and the pass out and fall down in the water. 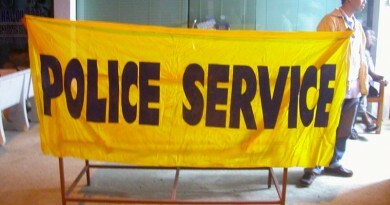 We call Koh Phangan Rescue Service and Koh Phangan Police. The Thai man from Issan is so caught by his instinct to help, so he doesn’t listen and he jumps in the well, and passes out. There is poisonous gas in the well and the two men are already dead! 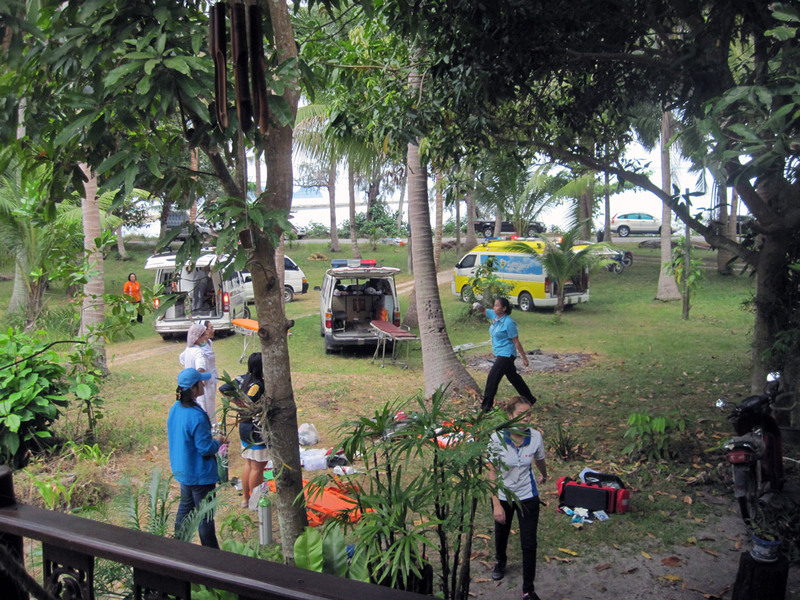 Koh Phangan Rescue Service arrive, at this time have they found a thin ladder and it’s possible to climb down in the well. The Koh Phangan Rescue team wants to send down one man, to get rope around the other two men, to make it possible to lift them up. They send down this man, with a rope around his body, climbing on a ladder, and in 60 seconds he also passes out. They mange to get him up quickly because of the rope around his body, they did CPR on him, he was sent to Koh Samui hospital, but he did not survive and died. A fourth man went down the well to catch up the other two men. This fourth man had an oxygen mask on. He manages to pull up the other two men who died already! During all this intensive and shocking rescue work somebody in the audience steal the wallet of the second man who wanted to rescue the first man. This man was the man with 2 monkeys who picked coconuts. 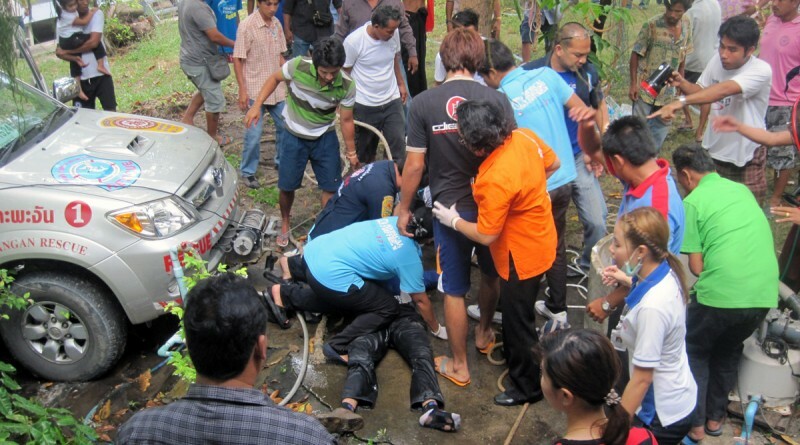 The man took out his wallet with 18.000 THB and a mobile telephone before jumping in the well. 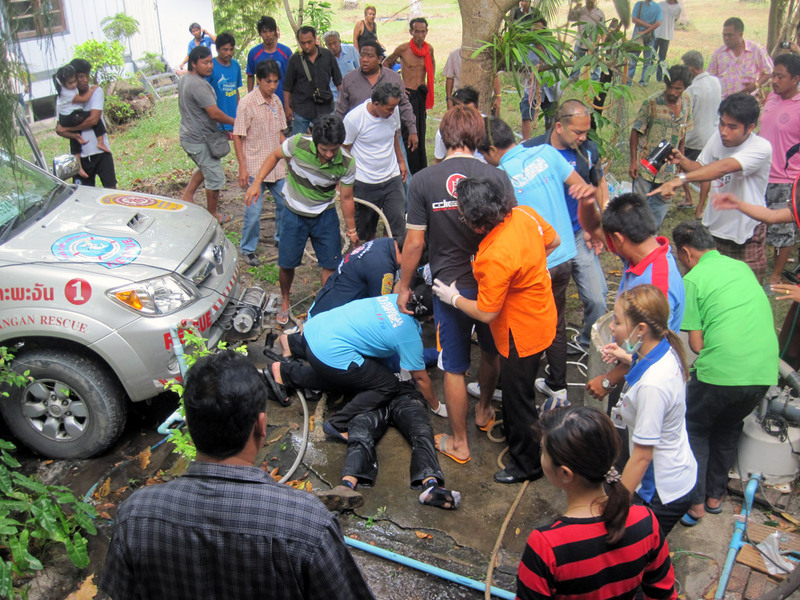 These kinds of accidents happen a lot in Thailand, poisonous gas in wells, lakes and other water underground muddy places. 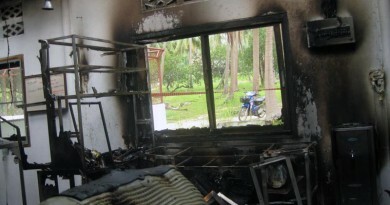 ← Koh Phangan Paradise Island – Don’t go if you value your life! Koh Phangan Island Alert – Travellers advised to avoid Full Moon Parties altogether! 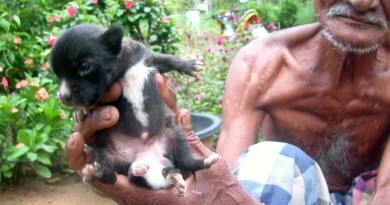 Dog with six legs – Genetic Experiments on the island of Koh Phangan?